The week started as usual with my trip to the clinic for blood test. The good news this week was that my neutrophils were up to 1.33 so improving significantly each week. This was enough for me to decide that I was well enough to work from the office every day, travelling in at lunch time and returning home after rush hour. I’ve also started back practising trumpet on my pTrumpet to get chops back in shape. With 3 concerts pencilled in already, with City of London Symphonic Winds, Bloomsbury Chamber Orchestra and the North London Symphony Orchestra, I’ll have to get a move on. Commuting to work has brought some normality back to this whole situation. It is great to get back into the swing of things and the hustle at work. I’ve also returned to Regent Brass to take my place in the percussion section in the run up to the National Finals in Cheltenham on the 17th. I worked too hard with the team to qualify for this to miss out. I had a bit of an “emotional wobble” on Thursday, it all seemed so normal, hanging around after work, grabbing a bite to eat before heading to rehearsal. Playing triangle and bass drum is a bit different from Soprano Cornet, but every part counts! Things sounding good in rehearsal and also, Regent Community Brass sounding great too yesterday in our joint rehearsal / performance runs. Maybe both band can bring back prizes from their respective sections next weekend. The “weekend medication” side effects hit again on Saturday, not as bad as last week, but still enough to be a bit of a drain and a bore. Still managed to do a few hours extra work to catch up, and my first “Yoga with Adriene” at home. 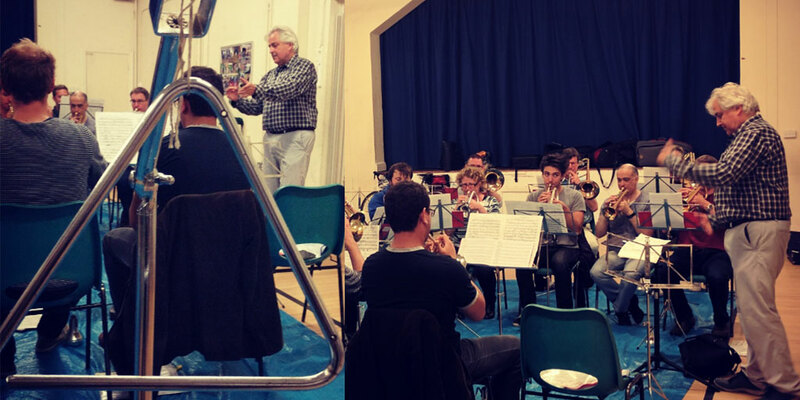 Weird that all is ok again on Sunday.. just as well with 2hr rehearsal with Regent Brass.